Military Gear: Is It Just a Trend or It’s Actually Useful? Most of the advanced tech pieces in the outdoor tactical and military gear industry start off as products specifically developed for the military, but later on, trickle down to civilians. While most civilians don’t have access to the most advanced military-grade equipment, they have the second best thing. Military contractors create consumer-facing products that are still durable and functional enough to last through a ton of wear and tear that comes with most outdoor activities like camping, hiking, or hobbies like paintballing or even security purposes. As long as you know where to look, some of the pieces of military gear you’ll come across include military backpacks, pants, boots, shirts, jackets, facemasks and even face paint. 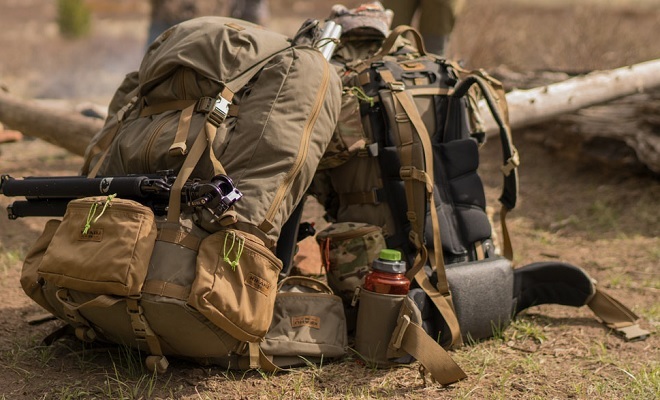 While some of these may seem obsolete for your outdoor activities, a military backpack, pants, and boots can go a long way in making your hunting or camping trip much more enjoyable. This is mainly due to the functionality and durability offered by these items over everyday clothing. Military backpacks are completely waterproof, which is an extremely important feature for an outdoor backpack. I’ve made the mistake of going on a long hike using my high-school backpack, which ended up in all my belongings being completely soaked, even though it didn’t rain for more than a couple of minutes. Furthermore, military backpacks feature a lot of compartments which allow for better organization of your belongings. They’re also made of high-quality materials, which means that they’re likely to withstand more abuse than conventional backpacks. Military boots are far more durable than regular boots, and they typically feature extra stability and support for your ankles. Moreover, they’re completely waterproof and lightweight and comfortable enough to assist you in whatever outdoor activity you participate in. On top of that, they’re very flexible – you can fit into them smoothly and they’ll adapt to your feet quickly. Military pants are suitable to wear when coming in rough surfaces and when dealing with extreme weather. They can be made of lightweight materials if you’re going to wear them in hot climates, or materials that offer more insulation to prevent your body’s warmth from dispersing if you need a pair for colder weather. Furthermore, military pants feature a number of pockets, allowing you to easily reach for whatever you have in them, as long as you remember where you placed your belongings, that is.